Is the glass half empty or half full? The well-known proverb largely describes the status of Chinese investment in Hungary. On the one hand, based on Chinese data sources, Hungary hosts by far the highest amount of Chinese direct investments among the EU member states in the Central and Eastern European (CEE) region. On the other hand, the country has achieved only very modest successes in attracting new investors from China in the last several years. For some observers this might come as a surprise, as the Hungarian government has made concerted of efforts, reoriented its entire foreign policy and offered significant political gestures to Beijing. 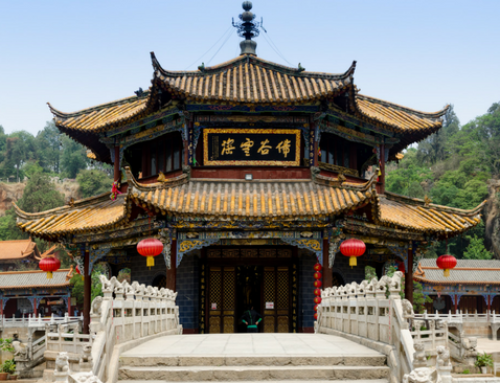 And yet, it seems that China has found more appealing business opportunities in Poland, the Czech Republic, or in the Balkan countries in the recent years. The lack of major Chinese direct investment inflows is in sharp contrast with the fact that Budapest enjoys relatively high political attention in Beijing; the two government just elevated bilateral relations to the level of a comprehensive strategic partnership in May 2017. The large Chinese community, the region’s only Chinese-Hungarian bilingual elementary school, the CEE headquarters of the Bank of China, among other factors point to Hungary as a primary destination of Chinese investment, at least in theory. In fact, despite all of this and the formulation of Hungary’s ‘Opening to the East’ policy in 2011, the country has been unable to attract any new, major investors since 2010. Even though many announcements have been made and many cornerstones have been laid, there are very few tangible achievements, and even those are investments in the range of a few million dollars. Still, when it comes to the stock of Chinese direct investment, Hungary enjoys a pivotal position in the CEE region, as by the end of 2015 cumulated Chinese investment in Hungary reached USD 3.5 billion, according to announcements by the government. Of course, there is a very high level of uncertainty among the available statistical data. 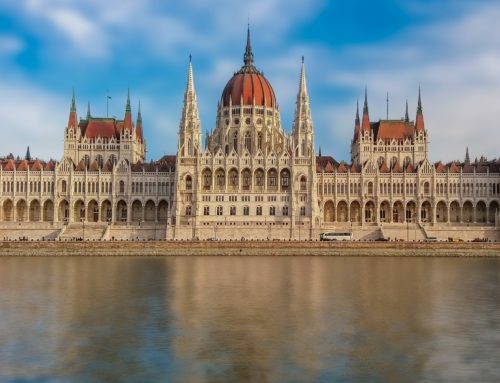 While the National Bank of Hungary reports that the stock of Chinese direct investment was around USD 200 million in 2015 (EUR 180 million), the Hungarian government talks about USD 3-3.5 billion. Rhodium Group, meanwhile, has recorded cumulative transactions of EUR 2 billion since the year 2000. Whatever the actual number is, the inflow of Chinese FDI is highly concentrated – around 75 percent of the total amount is linked to a single transaction: the acquisition of chemical company Borsodchem by the Chinese Wanhua Group. Besides Wanhua, major investors are Huawei, ZTE, Lenovo, Orient Solar, Sevenstar Electronics Co., BYD Electronics, Xanga, Canyi and Comlink. Unfortunately, major industrial greenfield investments are still lagging in Hungary so far, although the country would really need new jobs to be created. A remarkable set of agreements were signed during the visit of Premier Wen Jiabao in Budapest back in 2011 and of then-Vice-Premier Li Keqiang in 2012, when he visited Hungary to witness the signing ceremony of seven bilateral agreements (e.g. a Chinese-built train connection between downtown Budapest and the airport; an agreement on a EUR 1 billion credit line between the China Development Bank and the Hungarian Ministry of National Economy; an agreement on SME cooperation, etc.). Yet, most of these were merely confirmed agreements of the previous year, and most of them have never been realized. None of the planned infrastructure development and joint venture investments have been realized since. In the framework of China–CEE cooperation, new Chinese financial sources were opened for Hungary in 2013, and the Hungarian Exim Bank and its Chinese counterpart concluded an agreement on a EUR 100 million credit line for export financing. A USD 500 million “Chinese Central Eastern European Investment Fund” was also established, with a USD 30 million contribution from the Hungarian side. A milestone was reached when China, Hungary and Serbia agreed to modernize the railway line between Budapest and Belgrade. According to the original plans, the first train should have rolled through Hungary by 2017, but construction on the Hungarian side has not even begun. The main obstacle is the infringement process, allegedly started by the European Commission concerning financial agreements between the Hungarian and Chinese sides. Meanwhile, the Hungarian government denies that such an investigation by the Commission even exists, and publicly available information is painfully scarce on the matter. No surprise, the lack of transparency is one of the main concerns of the European Union. Based on what has already been announced, the Chinese investment model for the Budapest-Belgrade rail project is similar to the general pattern of One Belt, One Road (OBOR) investments: Beijing offers financial backing through a loan from its Exim Bank and hopes that Chinese companies will have the chance to modernize the railroad, establishing a transportation corridor between Piraeus in Greece and Western Europe via Macedonia, Serbia and Hungary. So far, it has not been clarified what the benefit for Hungary would be, while it seems that the Chinese side does not have to bear too high of risks: the loan and the interest rate (approx. 2.5 percent annually, according to the announcement of the Ministry of Foreign Affairs of Hungary) will be guaranteed by the Hungarian state, the construction will be carried out by a Chinese enterprise, and the railroad itself will be mostly used by Chinese cargo companies, all while failing to connect any major cities within Hungary. Given the low number of successful projects, any clear strategic-level motivations on the Chinese side remain undiscernible. As the table above suggests, Chinese businesspeople arrived in Hungary almost a decade before Budapest introduced its ‘Opening to the East’ policy. When it comes to the corporate level, the excellent geographic location, access to EU markets, and the favorable political and investment environment are the most frequently mentioned reasons for Chinese investment in Hungary. It is indeed true that the 16+1 cooperation and the role of Hungary in it has drawn further attention to the country in China, but the increased inflow of Chinese political and business delegations has not boiled down to tangible results so far. 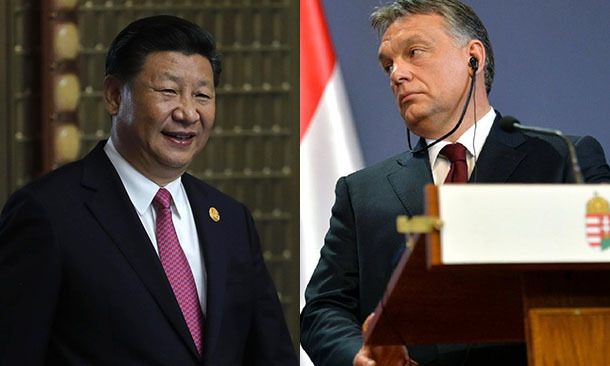 Unlike in some Western European countries or the US, increased Chinese activity has not triggered any alarm in Hungarian political circles or among the wider public. To the contrary, there seems to be a cross-party agreement on the importance of relations with China, and none of the major political players oppose the opening towards Beijing. This is partly due to the relatively positive image that many Hungarians hold of the Chinese people, thus making it hard for any party to gain domestic political support through China bashing. 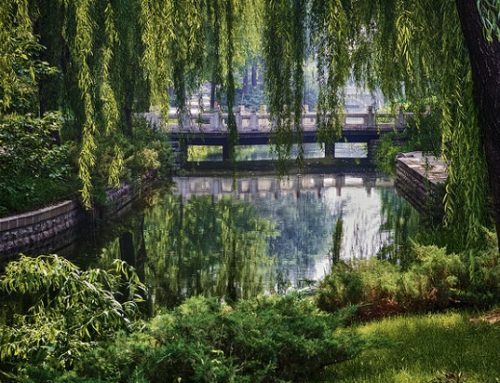 Hence, Prime Minister Orbán has mentioned China several times as a good example of a successful ‘labor based society’, and as an alternative to Western economies ‘based on speculation’. Meanwhile, the lack of major Chinese investment in recent years obviously decreased public attention on the matter, and therefore security or political concerns have never been raised. At the level of strategy, Hungary holds great hope in the potential for Chinese investment, despite the relatively low level of concrete results. Even though the ‘Opening to the East’ policy has never been slated into a proper and sophisticated strategy, based on government communications it is clear that the main objective of government efforts is to attract money and investment from China to Hungary. Others regard it as a mere political brand invented by the MFA to gain political support. 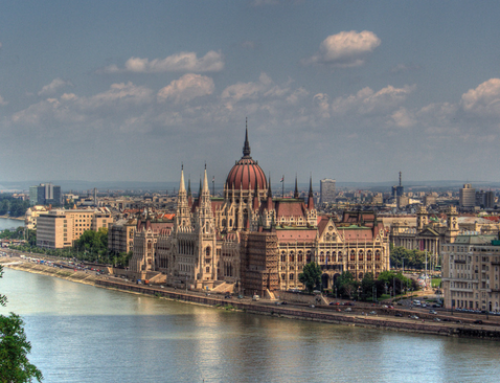 Budapest was so eager to cosy up to Beijing in the recent years that the government offered important political favors to China, even against the will of the European Union. This caught the attention of many international observers when the Hungarian MFA repeated Chinese statements on the South China Sea issue in 2016, or when the prime minister signed the joint communique on the “Belt and Road Initiative” in May 2017, despite the objection of the EU and its major member states. No wonder more and more experts raise the question: will the significant amount of Hungarian international political capital invested in China ever pay-off for the economy, or does the government regard China primarily as a political ally rather than an economic one? Political opponents of the ruling party argue that government efforts to get closer to Beijing (and Moscow) are part of a game against Brussels, and economic interests play only a minor role in this story. No matter what the intentions of the Hungarian side are, the example has been set, and countries across Central and Eastern Europe, including the Czech Republic, Poland and Slovakia, are all looking to forge closer ties with Beijing.